Yesterday, when i woke-up, it was -10°C and knew where i wanted to go to see if there was fresh ice along a river. As expected there was fresh ice on the rocks and moss in the river. I played with my camera in the water for 2 hours and got some nice photos, but this one is my favorite. For this photo i was knee high in the river to set my tripod and get that angle. Taken with my Fuji X-E1 and XF 18-55mm at 39mm, 1/6 sec. at f/13, ISO 200, tripod. This week was not the most productive, i took some photos of ice and leaves but not what i was hoping for. I went to an Historical site near my home this morning, it was -5°C and very windy, windy days are difficult for photography unless you can take advantage of it. 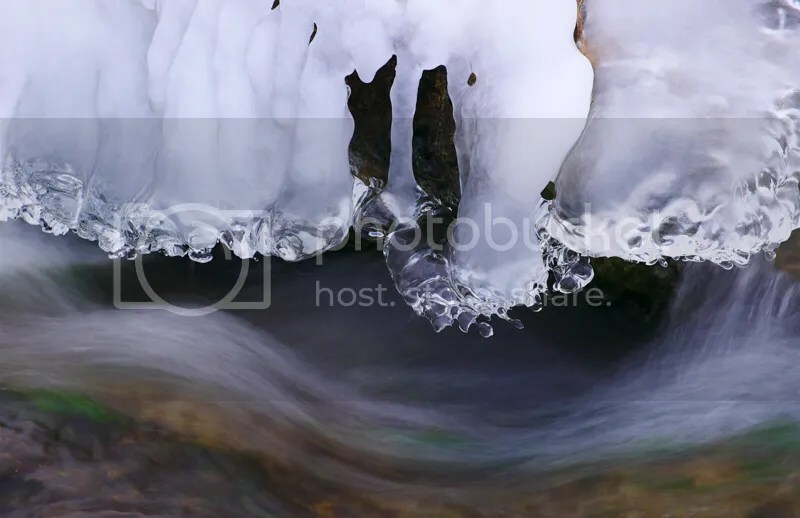 This site is on the shore of the St-Lawrence river, i was hoping to find some ice formations on the rocks in the rapids. 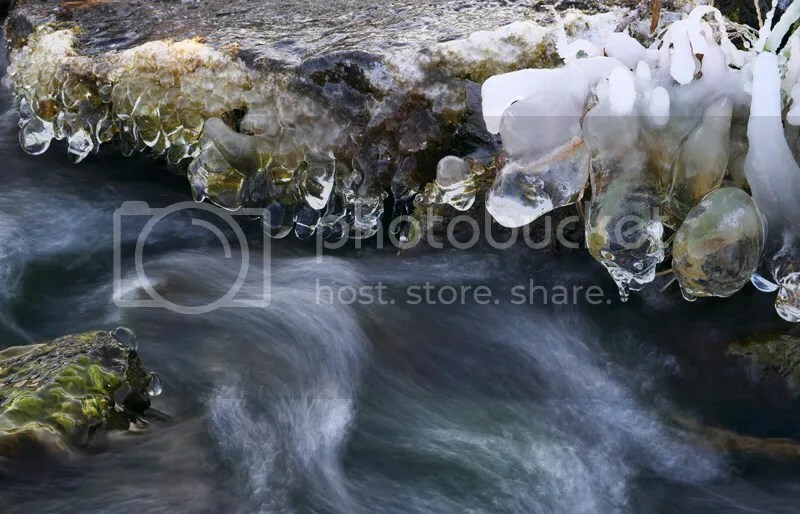 There was some ice for sure but the best looking ice was farther from the shore in the river so i had to walk in the river to get there, i had to be careful not to slip on the icy rocks and on the mossy rocks that were in the water. Since my tripod was set directly in the rapids and it was quite windy i pushed down on it during the exposure to prevent the vibrations from shaking my gear. Taken with my Fuji X-E1 and XF18-55mm at 55mm, ISO 250, 1/4 sec. at f/13, tripod. Finally we had some colder days this week, i was waiting anxiously for below 0°C temperatures for more opportunities, especially frozen waterholes and ponds. 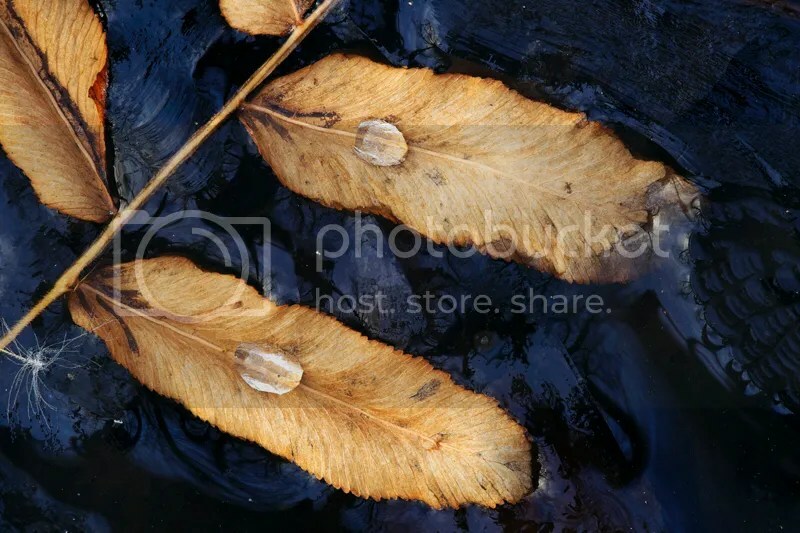 I like photographing leaves caught in ice, it’s a subject that you can find easily. 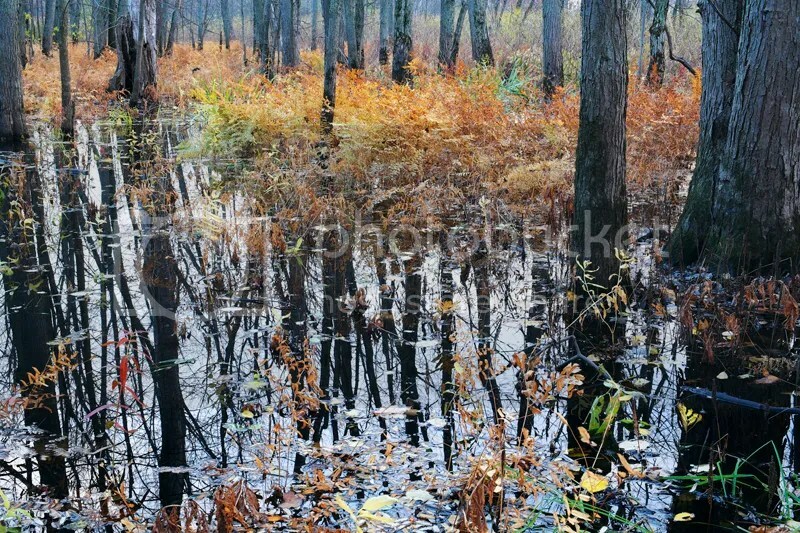 This week photo was taken at a pond, what attracted me was the contrast between the pale leaves and dark water and ice. The 2 water drops were frozen on the leaves which added some interest. Taken with my Fuji X-E1 and Sigma 180mm/5.6 APO Macro, at f/13, tripod. Taken with Fuji X-E1, Sigma 180mm/5.6 APO Macro, at around f/11, tripod. Last Monday the temperature during the night dropped to -2°C, before going to work i stopped at a river to see if ice had formed on the vegetation and rocks. There wasn’t much ice on the rocks, not cold enough but on one rock there was some moss covered with ice. 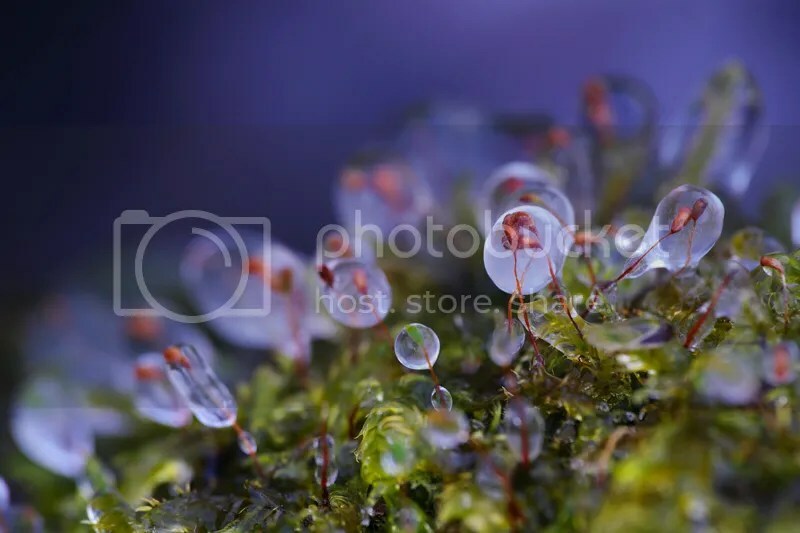 I used my 180mm Macro lens to get that close-up of the small moss, i like the color combination of the green moss and blue/purple water in the background. The Art of Close-up Photography, my 1st book ! I wanted to share my Close-up photos in a book but didn’t want to do it gear oriented since there is already a lot of those kind of books. What i did is talk about each photo in the book, explaining why and how i took it, some are more straight and some needs more explanations. Like i said in my book, i’m just a passionate photographer who wants to share and hope that you will learn a couple of things when reading my book. BTW, you can preview the first 15 pages if you click on the link above also.